Rent Delta King Hotel | Corporate Events | Wedding Locations, Event Spaces and Party Venues. The Delta King’s eight private rooms are an ideal setting for your special event or meeting. Small, medium or large, our experienced staff works with you to assure that your next important event goes as planned. Great food, service and scenic river views will always be a hit with your guests. The Delta King Hotel in Old Sacramento is a unique Sacramento treasure. Today it is a beautiful riverboat hotel with modern lodging amenities, 2 outstanding restaurants offering casual and fine dining, entertainment, 2 professional theaters, a wine school and exceptional facilities for weddings, banquets, and meetings. Experience the Delta King Hotel and all it has to offer. 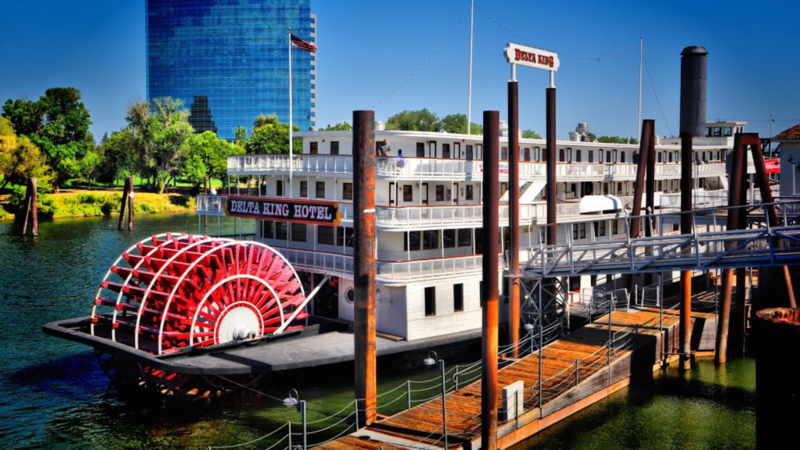 Located in Old Sacramento, adjacent to downtown, the California State Railroad Museum, Crocker Art Museum and on the Sacramento River, these superior riverboat lodging accommodations offer an ideal getaway, whether a special occasion or just an escape from the ordinary. Our overnight packages offer great value and entertainment.